Amidst the tragic events that targeted Belgium on March 22, 4iiii staff, Karel Bergmann, followed Team Etixx – Quick-Step as its riders honoured the memory of the victims by competing in the Dwars door Vlaanderen race in Belgium. The end of March was to see me heading into the very heart of cycling, Belgium. I was to arrive in Brussels from my previous assignment in Spain on March 22nd. Instead, Europe and especially Belgium were thrown into chaos by the hateful actions of a few. Instead of landing in Brussels, I would have to find a different way to get to Belgium. After many hours of re-planning all of my logistics, I found myself on a series of train journeys from Barcelona to Lille, where I was able rent a car and drive across the border to Belgium. Footage by Karel riding the Paterberg stage of the Tour of Flanders. 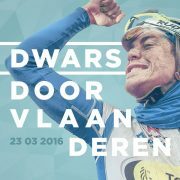 In a show of courage and defiance, Dwars door Vlaanderen went ahead the day after the terrorist attacks. The races that were scheduled in Belgium over the coming weeks are steeped in history, and had not been cancelled since World War II. They would not be cancelled because of the terrible actions of a few. I’d already missed Dwars because an already tight schedule had been rendered impossible by the bombings at the airport and metro, but I was in position to assist the team and observe for the remaining Belgian classics. One of the reasons that Dwars door Vlaanderen and all of the other races went ahead despite the terrorist attacks is the status of cycling in Belgium. What you have to understand is that when it comes to cycling, Belgium is not like other countries. 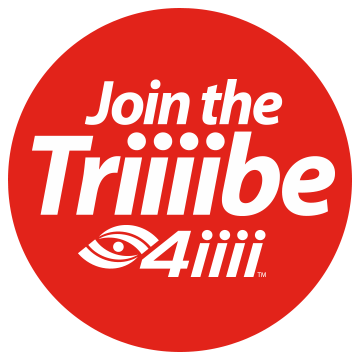 In countries like Canada, cycling has a growing fan base, but can still be considered a fringe interest. Most people know what it is, and maybe you can catch the Tour de France or Paris-Roubaix on TV, but that is the extent of it. Even countries like Spain and Italy, where cycling is orders of magnitude more popular than in Canada, cycling is eclipsed by other sports. In Italy and Spain, when people talk about sports, they actually mean football, and by football, they actually mean soccer. Belgium is different. Interestingly, most of these races are quite formulaic – you start somewhere in Belgium, you ride to the Vlaamse Ardennes, you ride a combination of cobbled roads and hellingen (short, steep climbs in the area). After the last one, you ride mostly paved roads to the finish in a nearby town. A few days later you do it again, but you change the start location, the end location and reorganize the hellingen in between. Despite this formula, each race has a completely different flavour and ends up being completely different. The only thing that remains constant in the outcome is that they are all nail-biters in the end. The spring classics season in Belgium starts in February with Omloop Het Nieuwsblad, but this is a precursor to the big races in March. 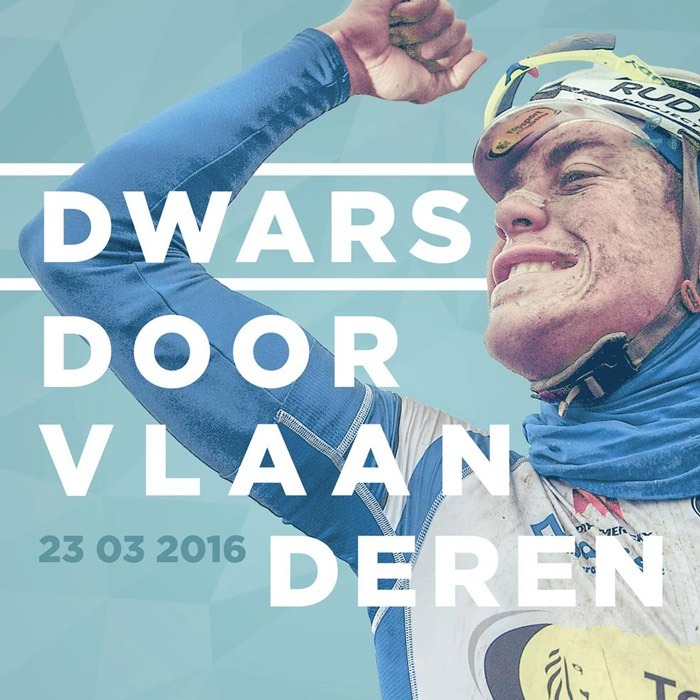 In mid-March, it starts with Dwars door Vlaanderen and keeps going with another race every few days. Finally, in a crescendo of cycling awesomeness, the whole thing culminates with the Ronde van Vlaanderen, or Tour of Flanders (260km of soul-crushing cobblestones and climbs). I was fortunate enough to be able to ride most of the course a few days before the race to get first-hand exposure to the conditions. Although I wasn’t riding at race pace, it quickly became evident how the hellingen whittle down the competition. You come into the first few full of energy and ready to blast up the climbs. On the Wolvenberg and Molenberg you still feel invincible. By the time the intervening climbs and cobblestones soften you up, you feel a lot less pep in your legs when you get to the Valkenberg. Finally, you get to Karnemelbeekstraat, the Paterberg and Kwaremont and you’re just happy to not be one of the less fortunate and pushing your bike up the hill. Fabian Cancellara, nicknamed “Spartacus“, is a Swiss professional road bicycle racer for UCI ProTeam Trek–Segafredo. Among his notable wins are his 7 individual Tour de France stages (2004, 2007, 2008, 2009, 2010, 2012) as well as 3 Tour of Flanders (2010, 2013, 2014). During the race itself a few days later, I was able to join Kenny, the head mechanic and Kurt, one of the soigneurs near the top of the Kwaremont, by Ronde van Vlaanderenstraat (yes there is a street named after the race), to witness the race in person. The streets are lined with people in varying states of drunkenness, proudly cheering on their favourite riders and waving flags with the lion of Flanders. VIP tents and beer gardens are so elaborate and dense that they take days to erect. 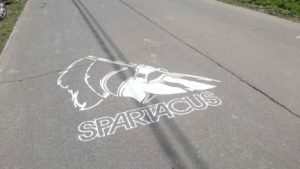 Ronde van Vlaanderenstraat is a giant party with the names of all of the past winners of the race painted on the pavement. While I stand there I can’t help but feel amazed by it all, and proud to play my small part. I’ve found the heart of cycling. It’s in Belgium and it doesn’t stop beating for anything.